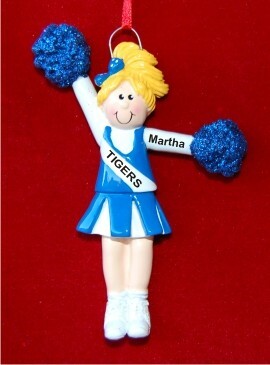 Definitely one of the cutest cheerleader ornaments personalized for recipients that we offer, the blond girl with blue pom poms personalized Christmas ornament sparkles with glitter and fun! These are wonderful personalized cheerleader gifts that become lasting keepsakes of a very exciting time in a young gal's life. One of our lettering artists will take the details you provide and handwrite or paint them in a very stylish font. 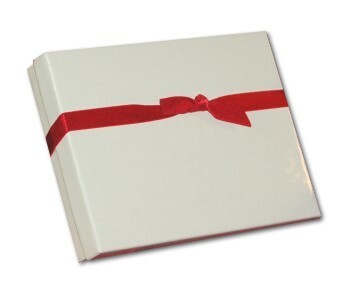 There's room on the back for a longer message of encouragement from you. The blonde cheerleader blue uniform personalized Christmas ornament will brighten her day and the entire season when received in our plush and pretty velvet drawstring pouch. Christmas present Dec 27, 2013 Sheri D.